The Complete Adventures of Snugglepot and Cuddlepie combines in one edition May Gibbs' much-loved classics, The Tales of Snugglepot and Cuddlepie (first published in 1918) and its two sequels, Little Ragged Blossom (1920) and Little Obelia (1921). 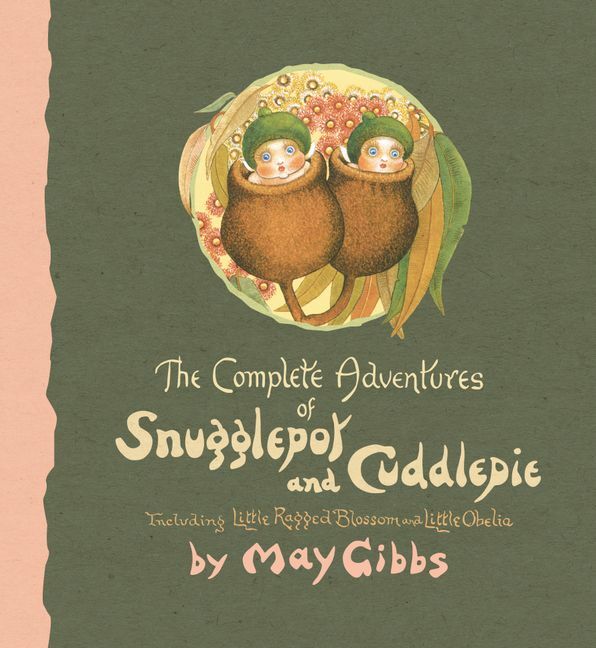 Quintessentially Australian, these delightful tales have never been out of print; indeed the fantasy world of May Gibbs has been a source of continual fascination for generations of children. May's is a world filled with fears and excitement and adventures both extraordinary and everyday. A world peopled with small creatures, where the real mixes tantalizingly with the imaginary and provides a window to the magic we all believe exists in the bush. In this edition, all of May's original artwork has been sourced and re-scanned and the illustrations look as exquisite as the day May put down her paintbrush all those years ago. A fresh new design in full colour that is true to the original editions of these three stories makes this new edition a delight to rediscover - or read for the very first time. This new edition of a much-loved Australian classic contains re-scanned illustrations and looks as fresh and bright as when it was first published.